Ghana is a contracting state to the New York Convention on the Recognition and Enforcement of Foreign Arbitral Awards (the New York Convention). Ghana became a member of the New York Convention on 9 April, 1968. No declarations or notifications were made under articles I, X and XI of the New York Convention. Ghana is also a party to the International Convention on the Settlement of Investment Disputes, which came into force on 14 October 1966. In addition, Ghana is a party to the United Nations Commission on International Trade Law (UNCITRAL). Ghana has entered into 26 bilateral investment treaties with other countries, most of which contain dispute resolution provisions. The Alternative Dispute Resolution Act, 2010 (Act 798) (the ‘Arbitration Act’ or ‘arbitration law’) regulates domestic arbitral proceedings. The arbitration law does not regulate foreign arbitral proceedings. However, it provides the framework for the enforcement of foreign arbitral awards. Arbitration proceedings are considered foreign when they are undertaken outside the jurisdiction under a system of law other than the laws of Ghana. the court and the Alternative Dispute Resolution Centre is a key part in the Arbitration Act, as opposed to the position of the conciliator in the UNCITRAL Model Law. Parties have the freedom to agree on the procedure to be followed by the arbitral tribunal in conducting the proceedings. In the absence of such an agreement, the arbitral tribunal may conduct the arbitration in the manner it considers appropriate. In either case, the arbitral tribunal has the obligation to abide by the principle of equal treatment of the parties in the proceedings, and ensure that each party is given an opportunity to present its case. The Arbitration Act mandates the arbitrator to decide the dispute in accordance with the law chosen by the parties. The arbitrator is also required to have regard to such other considerations as are agreed by the parties or determined by the arbitrator. Where the issue relates to a contract, the arbitrator is expected to take cognisance of the usages of the trade to which the contract relates. If the parties are unable to reach an agreement on the applicable substantive law, the arbitrator is required to determine the dispute by reference to the conflict of law rules that the arbitrator deems applicable. The Ghana Arbitration Centre is the most prominent arbitral institution in Ghana. In addition, the Arbitration Act has made provision for the establishment of the Alternative Dispute Resolution Centre. It is envisaged that the Centre will have a permanent existence with the object of facilitating the practice of alternative dispute resolution in Ghana. The law provides a great deal of flexibility in terms of the choice of law, place of arbitration, selection of arbitrators and the language of proceedings. In each of these areas, the parties are given the priority to make a choice. The arbitral tribunal is vested with the power to decide on any of the matters when the parties are unable to reach a consensus on the issue in question. With respect to the fees for arbitrators, there must first be an agreement between the parties and the arbitrator as to the amount payable. In calculating the amount payable, regard must also be given to the value of the subject matter, the complexity of the case and the agreed hourly fee rate. The National Labour Commission, as established by the Labour Act, 2003 (Act 651) is another important arbitral institution in Ghana. The National Labour Commission’s mandate is to facilitate and settle industrial disputes through negotiation, mediation and arbitration. Currently, the National Labour Commission is usually the first point of call in the resolution of industrial disputes in Ghana. 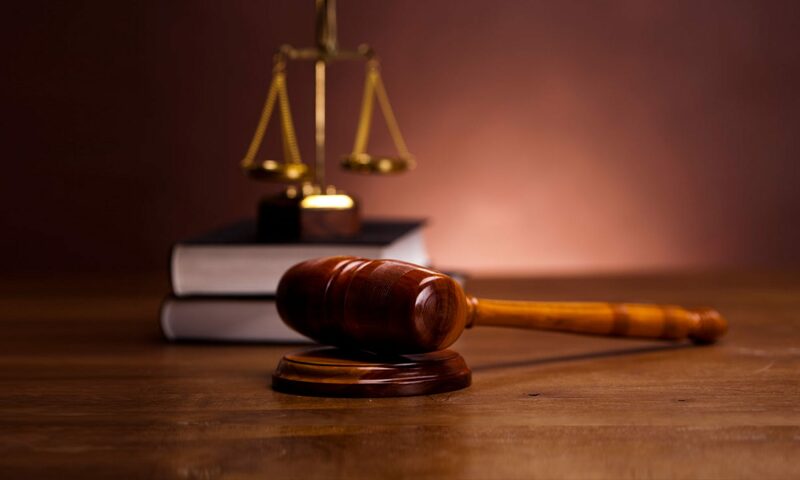 The Ghana Investment Promotion Centre Act, 2013 (Act 865) and the Minerals and Mining Act, 2006 (Act 703) state the dispute settlement procedures parties can resort to and provide for arbitration when disputes cannot be settled by any other means. These laws further provide that parties may refer the dispute to arbitration in accordance with UNCITRAL rules or within the framework of a bilateral agreement between Ghana and the investor’s country. The general rule is that only matters that can be subjected to compromise and settlement are to be referred to arbitration. Although the Arbitration Act does not make any express provision for disputes in the areas of intellectual property, antitrust, competition law, securities transactions and intra-company disputes, such disputes may be settled through arbitration. Section 1 of the Arbitration Act, however, expressly states that matters involving the national or public interest, the environment, the enforcement and interpretation of the Constitution, or other matters that by law cannot be settled by an alternative dispute resolution method. The Arbitration Act provides that an arbitration agreement must be in writing. In order to satisfy the requirement of writing, the law stipulates that the arbitration agreement may be in the form of an exchange of letters, telex, fax, e-mail or other means of communication providing a record of the agreement. An arbitration agreement is valid if it is contained in an exchange of statements of claim and defence in which the existence of an agreement is alleged by one party and not denied by the other, or when reference is made in a contract to any document containing an arbitration clause. Place and language of arbitration Failing prior agreement of the parties, what is the default mechanism for the place of arbitration and the language of the arbitral proceedings? The Arbitration Act provides that where the parties are unable to agree on the place of arbitration, it shall be determined by the arbitrator or the arbitral tribunal, taking into consideration the circumstances of the case and the convenience of the parties. The law also confers power on the arbitral tribunal to determine the language to be used for the arbitral proceedings if the parties are unable to agree on this issue. The arbitrator may direct that any documentary evidence should be accompanied with a translation into a language agreed on by the parties. An arbitration proceeding is initiated when a party to a dispute in respect of which there is an arbitration agreement refers the dispute to an arbitrator or an institution for arbitration, or to the Alternative Dispute Resolution Centre. The party initiating the arbitral proceedings is required to notify the other party of the commencement of the proceeding. A party to an agreement who is not notified of an arbitration proceeding arising under that agreement may apply to the High Court to set aside any arbitral award. Apart from resorting to a sole arbitrator or a tribunal, the parties to an arbitration agreement have the option of settling their dispute under the auspices of the Alternative Dispute Resolution Centre. The rules for the conduct of the arbitral proceedings by the Centre are set out in the third schedule of the Arbitration Act. According to the rules of the Centre, notice to a party is satisfied by telephone, fax, e-mail or other mode of electronic communication. Where the claim or counterclaim by a party to the dispute does not exceed US$100,000 or its equivalent in local currency, the Centre shall, upon the submission of the dispute, appoint a sole arbitrator from the register of arbitrators. An arbitration agreement may not be enforceable if waived by the parties or if the parties decide to submit the matter to the jurisdiction of the courts, or if declared null and void by the arbitral tribunal. An arbitration agreement is not rendered unenforceable by reason of the death of a party to the agreement or insolvency. The obligations of a party to an arbitration agreement may be transferred to other successors on the death of such a party. In addition, a party to an arbitration agreement who is not notified of an arbitral proceeding may apply to the High Court to set aside the arbitration agreement. A party is entitled to have the arbitration agreement set aside where he or she satisfies the High Court, upon application, that the law applicable to the arbitration is not valid. Arbitration clauses or agreements that are part of a contract are generally deemed to be independent of the other terms of the contract. Thus, the invalidity or unenforceability of the underlying contract does not necessarily affect the arbitration agreement or clause. However, a judgment of a court declaring an underlying contract void may render the arbitration clause or agreement unenforceable. Subject to the agreement of the parties, the arbitrator may dispense with the requirement for a hearing. In lieu of a hearing, the arbitrator may request the parties to make their respective cases through the submission of documents and other materials. However, if the parties desire to be heard, there are a number of procedures that must be satisfied. The parties are required to give the arbitrator the particulars of any witnesses who will be called. The arbitration law further requires that the hearing shall be held in private, unless the parties agree to the contrary. At the commencement of the hearing, the parties are required to provide opening statements that will set down the issues to be determined. Similar rules of procedure apply were the parties elect to use the Expedited Arbitration Proceedings Rules of the Alternative Dispute Resolution Centre. In that regard, the Centre will play a facilitative role with respect to the proceedings. The Centre will be required to serve notice of the hearing date on the parties. Depending on the nature of the issue in contention, the hearing may be concluded in a day. Evidence By what rules is the arbitral tribunal bound in establishing the facts of the case? What types of evidence are admitted and how is the taking of evidence conducted? The taking of evidence is generally governed by the statutory rules relating to the admissibility of evidence. The arbitration law imposes an obligation on the arbitrator to ensure that evidence is taken in the presence of parties, unless a party has expressly waived that right or has refused to attend without good cause. A party is entitled to present his or her evidence by affidavit after the arbitrator has considered any objections by the opposing party. The opposing party is also entitled to cross-examine the deponent after the presentation of the affidavit evidence. At the instance of the parties, or at the request of the arbitrator, the parties may be required to submit additional documents and materials after the oral hearing to enable the issue or issues to be settled conclusively. The law confers enormous powers on the arbitrator to regulate the procedure dealing with the calling of witnesses. The parties are obliged to provide only material evidence. Witnesses are required to provide relevant evidence that is necessary to the determination of the issues in dispute. Subject to the rules of natural justice, the arbitrator has the prerogative of determining whether evidence given is relevant and material to the issues in contention. The Arbitration Act makes provision for the appointment of experts to assist in the conduct of the proceedings. The law does not give pre-eminence to either tribunal-appointed experts or party-appointed experts. It provides that the arbitrator may appoint an independent expert to report to the arbitrator or tribunal in writing on any specified issue. In such a case, the parties are required to cooperate with the expert by providing him or her with the required information and evidence. On the submission of the report of the tribunal-appointed expert, the parties are entitled to cross-examine the expert at the hearing or call their own experts to comment on the report of the tribunal-appointed expert. As part of the process of obtaining evidence, the arbitral tribunal may request that documents submitted by parties should be inspected. The arbitral tribunal is required to provide notice to the parties indicating the time and date for the inspection. On completion of the inspection, the arbitral tribunal is required to furnish the parties with copies of its report for their comments. The rules of evidence in Ghana are quite exhaustive for the purposes of conducting arbitral proceedings. That notwithstanding, an arbitral tribunal or arbitrator may seek guidance from the IBA or any other body when it becomes necessary. In what instances can the arbitral tribunal request assistance from a court and in what instances may courts intervene? The Arbitration Act does not contain any express provisions on the instances where the arbitral tribunal can request assistance from the court. The court is empowered to refer any matter brought before it to arbitration where it is satisfied that the action or part thereof can be resolved through arbitration. The court may intervene when any issues arise with regards to the appointment procedure of the arbitrator. Where the appointment procedure of the arbitrator is called into question, a party may apply to the High Court for the purposes of setting aside the appointment. In addition, a party may apply to the High Court for the revocation of the arbitrator’s authority where it is established that the arbitrator has violated the requirements of neutrality or impartiality in the discharge of his or her responsibilities. The Arbitration Act further provides that a party to a proceeding who is dissatisfied with an arbitrator’s ruling on jurisdiction in an arbitration proceeding may apply to the High Court for the determination of the arbitrator’s jurisdiction. The Court’s intervention will also be triggered when a party to an agreement who has not been notified of an arbitration proceeding applies to the Court to set the proceedings aside. The Court may also intervene where a party applies to set aside an arbitral award. A party is entitled to challenge the validity of an award where the court is satisfied, inter alia, that a party to an agreement was under some form of disability, the law applicable to the arbitration agreement was not valid, or the party was not given notice of the appointment of the arbitrator or was unable to present his or her case. An arbitral award is also liable to be set aside where the Court discovers that the subject matter of the arbitration was not capable of settlement by arbitration. With respect to evidence, the law confers considerable power on the arbitrator to regulate the process. For instance, the arbitrator determines the materiality and relevance of evidence submitted by the parties. The Court cannot intervene directly with regards to the taking of evidence. Its power to support arbitral proceedings on issues of evidence is subject to the consent of the parties. The Arbitration Act permits parties to request the High Court to order an interim measure before or during arbitral proceedings. The High Court may make an interim order for the taking and preservation of evidence or assets, or on issues affecting property rights that are the subject of the proceedings, make an interim injunction or address issues regarding the appointment of a receiver. Under section 40 of the Arbitration Act, the High Court may also determine any questions of law that arise in the course of the proceedings if the Court is satisfied that the question substantially affects the rights of the other party. The High Court is also entitled to make an order that any question of law arising from an arbitration proceeding be referred to it for determination. The exercise of this power is, however, subject to the agreement of the parties. In addition, the arbitration law provides that, unless the parties otherwise agree, an application to the High Court shall not serve as a stay of the arbitral proceedings. Domestic arbitration law does not contain any provisions for an emergency arbitrator. However, the arbitration law provides that, where there is a sudden vacancy in the arbitral tribunal, the parties may agree on whether and how the vacancy should be filled. However, with regard to the National Labour Commission, where a vacancy occurs in the number of arbitrators, the remaining arbitrators may, with the consent of the parties, act despite the vacancy; failing that, the party whose number of arbitrators is affected by the vacancy shall appoint another arbitrator to fill the vacancy immediately; failing this, the Commission shall appoint another arbitrator to fill the vacancy. In principle, arbitration agreements cannot be extended to third parties who are not signatories to the arbitration agreement. The Arbitration Act does not make any express provision for the imposition of liability arising from an arbitration agreement on account of assignment, agency or insolvency. However, the assignment of the underlying contract may be presumed to include the acceptance of any arbitration agreements contained in or incorporated into the underlying contract. Similarly, a principal may be bound by an arbitration agreement entered into by an agent. Under the Arbitration Act, the occurrence of death does not discharge a party to an arbitration agreement from liability. The implication is that a successor-intitle will be required to discharge the liabilities arising from the arbitration agreement entered into by the deceased. This may also be presumed for situations of insolvency. Interim measures by the arbitral tribunal What interim measures may the arbitral tribunal order after it is constituted? In which instances can security for costs be ordered by an arbitral tribunal? The arbitrator may, at the request of a party, grant any interim relief the arbitrator considers necessary for the protection or preservation of property. An interim relief may be in the form of an interim award, and the arbitrator may require the payment of costs for such relief. The applicant is required under the law to bear liability for the cost of granting the interim relief. Once the arbitral tribunal is constituted and has adopted particular rules for settling the dispute, the arbitral tribunal will derive its powers from those rules. Section 31(2) of the Arbitration Act places an obligation on the arbitral tribunal, subject to the other requirements of the Arbitration Act, to conduct the arbitration so as to avoid unnecessary delay and expenses. This section also allows the arbitral tribunal to adopt measures that will expedite resolution of the dispute. The Arbitration Act further prescribes that the arbitral tribunal has the power to decide on matters of procedure and evidence subject to the rights of the parties. Thus, the arbitral tribunal, for example, has the power to determine the manner in which witnesses are examined. At the Ghana Arbitration Centre, once the arbitral tribunal has adopted the rules for settling the dispute, the arbitral tribunal may proceed if a party attempts to delay the proceedings. However, this party must be notified of the proceedings that took place in his or her absence. The arbitrator is required to encourage the parties to resolve their differences during the proceedings. The law does not impose any requirement that the decision of the arbitrators should be unanimous in the event that the parties are unable to reach an agreement. In rendering an award, it is sufficient if the decision of the arbitral tribunal is made by a majority. The validity of the award is not impugned by a dissenting opinion expressed by an arbitrator. In all cases in which a dissenting opinion is expressed by a member of an arbitral tribunal, it will not count towards the final decision of the tribunal. Where a unanimous decision cannot be reached, the decisive opinion is that expressed by the majority. the reasons for the award must be indicated, unless the parties otherwise agree not to. In the case of awards granted by a tribunal, the signature of the majority shall be sufficient, provided that the reason for the omission of the signatures of some of the arbitrators is stated. The Arbitration Act has not set out any specific time frame for the delivery of the award. However, it must be noted that the parties to an arbitration proceeding expect to resolve their differences as quickly as possible. Thus, the arbitration proceeding is expected to be conducted expeditiously and the award handled within a reasonable time. What amounts to a reasonable time is a question of fact to be determined on a case-by-case basis. Even though the arbitration law does not specify the time limit for the delivery of the award, it expressly prohibits the arbitrator from extending the time limit agreed by the parties for the delivery of the award. The date of the delivery of the award and the date of its receipt by the parties are significant for a number of reasons. The date of the delivery of the award is relevant for purposes of adding to or correcting any clerical, typographical, technical or computation of error in the award. This may be effected either at the request of a party to the proceedings or at the instance of the arbitrator within a period of 28 days after the delivery of the award. The date of the receipt of the award by the parties is relevant for the purposes of challenging its validity. A party who wishes to set aside an award is required to submit his or her application to the High Court within a period of three months from the date the party received or is notified of the award. May interest be awarded for principal claims and for costs and at what rate? The Arbitration Act grants the arbitrator the power to correct any clerical, typographical, technical or computational error in the award, and to make an additional award in respect of a claim presented to the arbitrator but omitted from the award. Such corrections can be effected at the instance of the arbitrator or at the request of a party, within 28 days of delivering an award or such longer period as the parties may agree on, upon giving 14 days’ notice to the parties. The law is quite silent with respect to the power of the tribunal to interpret the award. the award is in conflict with public policy. A party who alleges that any of the above-stated factors have impugned the credibility of the award is required to apply to the High Court to set aside the award.